Aeroproof is a panel designed for heat insulation and the preparation of the substrate for the subsequent waterproofing of all types of flat and pitched roofs, for civil and industrial buildings. 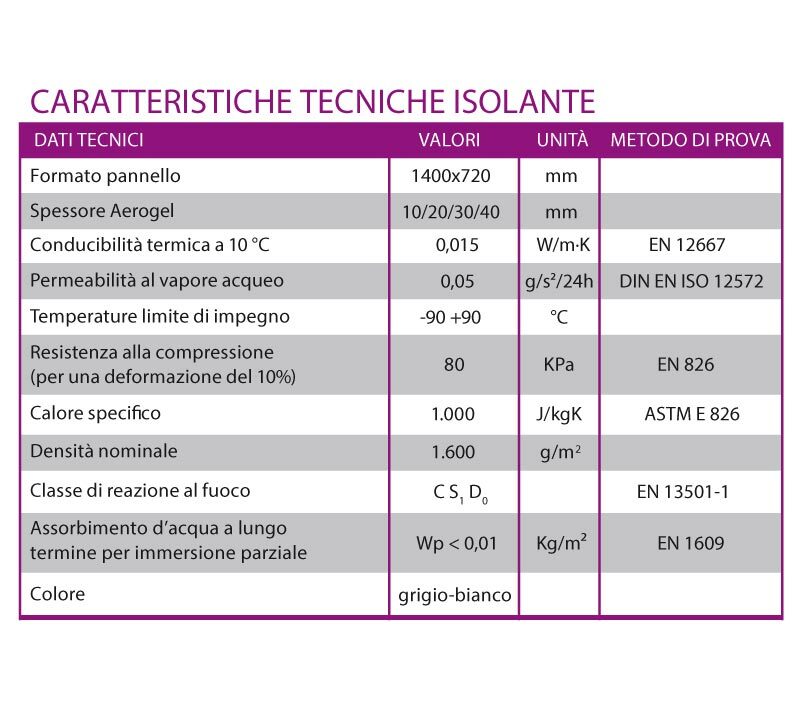 Aeroproof is a high-performance insulating panel made of a nano-technological insulating product containing Aerogel coupled with a bituminous membrane able to ensure excellent heat insulation, compression resistance, dimensional stability and a first waterproof layer. Aeroproof is suitable for being subsequently flamed to allow the application of successive layers of bituminous sheathing. The Aeroproof panels are usually applied to the roof by gluing or mechanical fastening; after installation, waterproofing is completed by recovery of the underlying sheath by means of the application of one or more layers of bituminous membrane, either standard of self-protected. 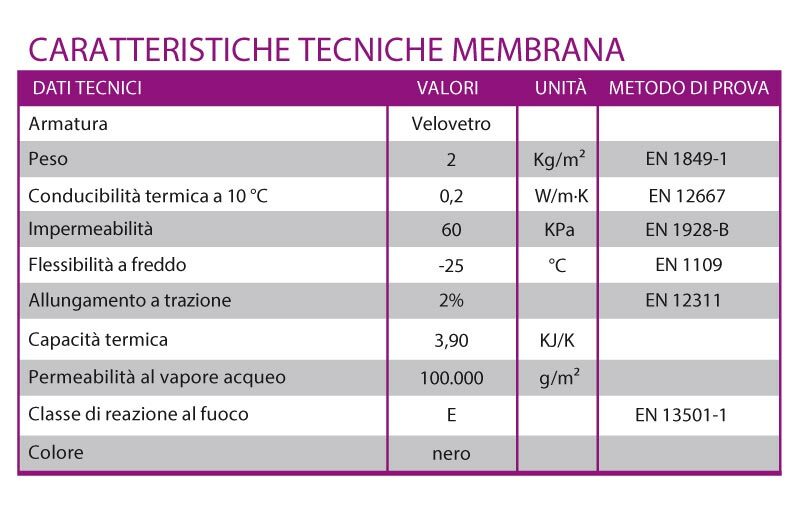 Realization of heat insulation and waterproofing of flat or pitched roofs made up of a pre-coupled, semi-rigid panel consisting of a layer of silica Aerogel reinforced with PET fibres (felt), of the Aeroproof type, water repellent and breathing, coupled to a bituminous sheath reinforced with fiberglass weighing 2 Kg/m², supplied in 1400×720 mm panels, with a total nominal thickness of 10 mm (or in panels with thicknesses of 20 mm, 30 mm, 40 mm) heat conductivity 0.015 W/mK, heat resistance Rd 0.67 m²K/W per cm of thickness, working temperature between -90°C / +90°C, impermeable to surface water and/or immersion with water contact angle not below 150°, installed on flat, horizontal or pitched surfaces after preparing the installation surface, installing the panel and the vapour barrier.